Connect with nature on a walking tour of this unique chemical-free farm. 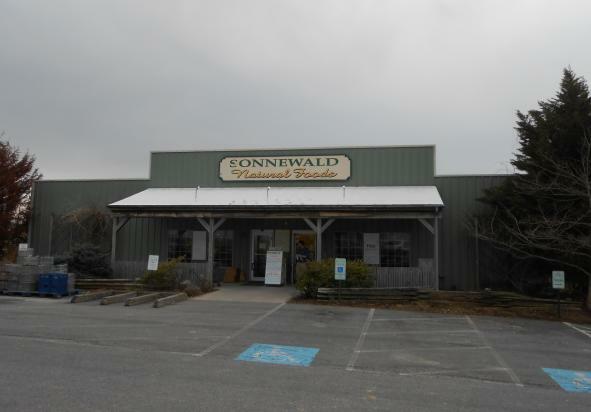 A pioneer in healthy & harmonious living, Sonnewald has promoted living gently on the earth since the 1940s. Learn about the founding vision, interesting history & exciting future plans. Enjoy a sneak preview of a Weed Walk & see PA’s 1st solar home. Visit one of PA’s oldest natural food stores & receive a goodie bag. Wednesday: 10:30 a.m.-4 p.m.; Tours at 10:30 a.m. & 4 p.m.
Thursday: 10:30 a.m.-4 p.m.; Tours at 10:30 a.m. & 4 p.m.
Friday: 10:30 a.m.-7 p.m.; Tours at 10:30 a.m., 4 p.m., & 7 p.m.
Saturday: 10:30 a.m.-3 p.m.; Tours at 10:30 a.m. & 3 p.m.
Motorcoaches: Yes, contact Sonnewald to reserve a time slot.